Every entrepreneur has a story, one that tells you where their new business idea came from and what ignited their passion to turn that idea into a going concern and then into a success. Most will also tell you that they couldn’t have done it alone; one of those is Janel Young, founder and CEO of NAVA PETS, a natural, organic pet food and products manufacturer. Young has a wonderful story to tell. It begins with “Maxie”, her sweet and beloved little dog. Maxie was constantly beleaguered with irritated skin caused by food and skin allergies; she almost died from a severe reaction to traditional flea/tick prevention shampoo. And so Janel Young went to work to help her dog. In 2011, after months of trial and error, she successfully created an organic dry shampoo powder, natural treats and food to relieve Maxie’s skin condition and supplement her health and wellbeing! When Young’s animal-loving friends saw Maxie’s transformation, they asked for the products to help their pets. It was then that Janel Young knew that she was on to something. Starting modestly, she began doing the rounds of the local farmers’ markets. She entered new business pitch competitions, and won! She also received national recognition as an entrepreneur, being named a Torey Burch Fellow and winning a Goldman Sachs 10,000 Small Business Award. Young is quick to say that she hasn’t done it alone, though. She credits her team at NAVA PETS as well as her consultants at the Florida SBDC at the University of Central Florida (FSBDC at UCF) and many others. “My journey with the FSBDC began when I needed advisement on a huge retail contract,” recalls Young. “It was an important growth step for my company and I wanted their assistance.” Young proceeded to take advantage of the FSBDC’s no-cost business consulting, workshops, PTAC (Procurement Technical Assistance Center) services and the Small Business Institute® program. “I have been very fortunate to team with people like Jill McLaughlin and Steve South at the FSBDC. (McLaughlin is an FSBDC consultant; South is a PTAC specialist). They have been like an extended family for NAVA PETS,” says Young. 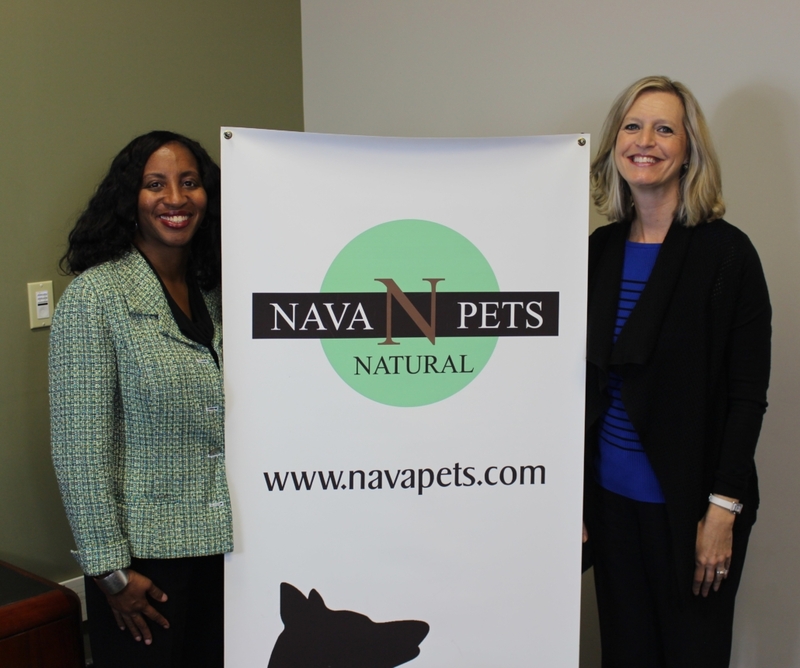 “They’ve really been in my corner in helping the business grow and providing me feedback in areas that need improvement.” Among the specific ways in which the FSBDC has helped NAVA PETS include developing a B2B, commercial sales strategy; looking at opportunities in international export markets; and branding, pricing and operations analysis and planning. From its modest beginning at local farmers’ markets, NAVA PETS has come a long way. The company has grown to 10 employees; it is transitioning into a new, larger manufacturing facility; it is now being sold in Walmart, Lucky’s Market, and Albertson’s as well as on Amazon; and it has seen its revenues grow by over 2000% over the past 3 years. Maxie would be proud. For information about NAVA PETS, please visit https://navapets.com/ .